2018-01 Our old Vera C is now sold to Titania, Fotö, congratulations to the vessel! We have also bought a new vessel to Vera C. Bolette from Thyborøn. This ship is built in Skagen 2006, same period as Ceton. 2017-02 Delivery of the old Ginneton build at Weston 1998 to her new owners in Norway. The vessel will carry the name Straumbas and have homeport in Ølen. The vessel will be at shipyard to rebuild the fishhandling system on deck and make som upgrades in the electricalsystem onboard. In the end of 2016 the vessel will be placed in fishery. 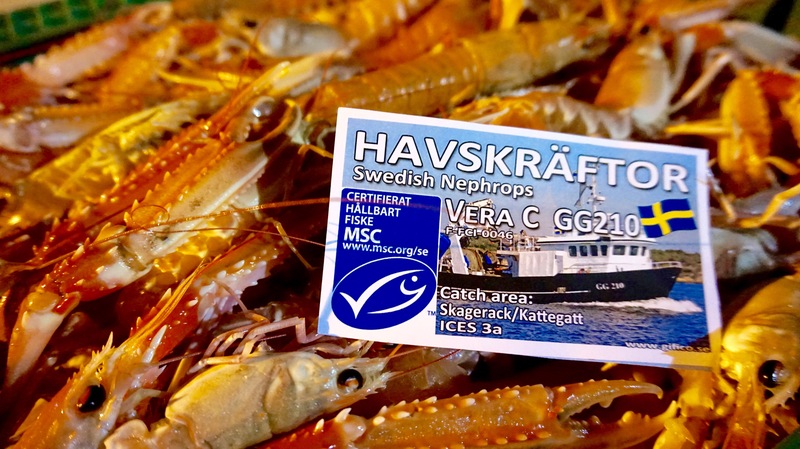 The vessel will carry swedish flag and fish on swedish quotas. 2015-02 Finally, the world's first labeling of boxes for Swedish Neprophs is in place. MSC:s logotype can be seen on all our boxes with neprophs in future! 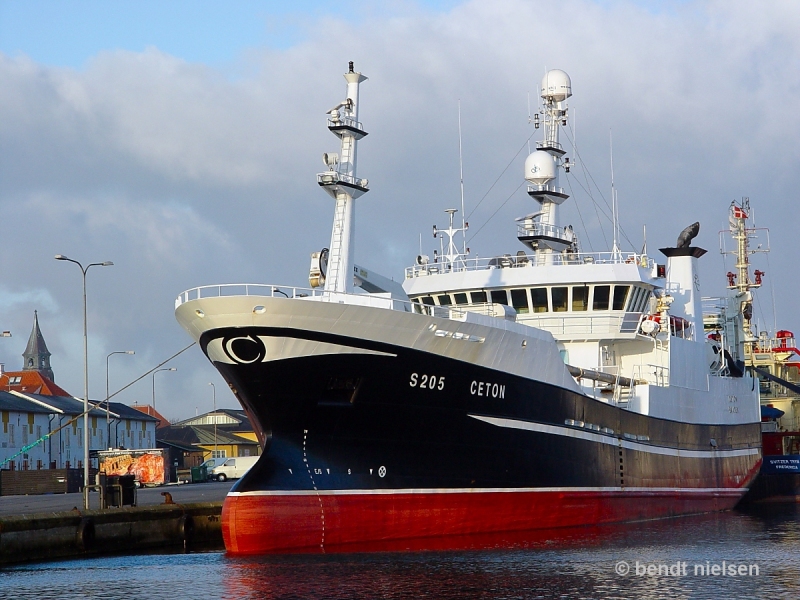 2015-01 Ceton is leased by DTU Aqua and DPPO for a short period in January. DTU Aqua carry out a research project in cooperation with the EU down in the Bay of Biscay, to measure the mackerel stock. 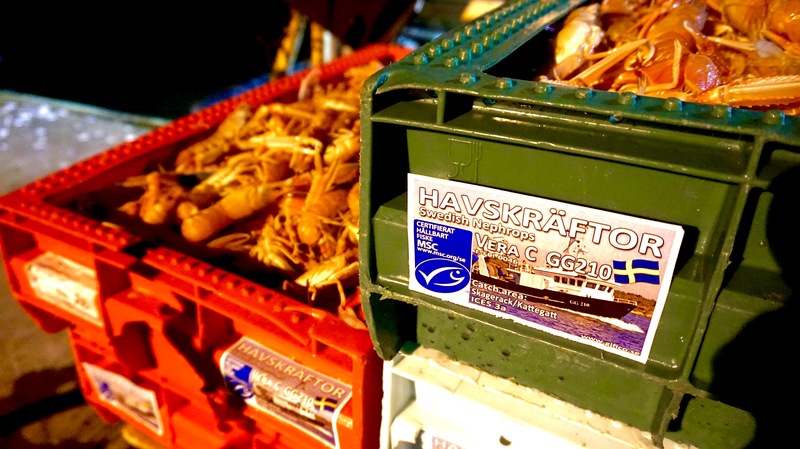 The project collects the information requirements to have such a sustainable fishery as possible. 2014-10 Fishingvessel Veronica GG352 is sold to new owners in sweden. 2013-07 Nimber is sold to new owner in Denmark. The vessel is sold without quotas. 2013-07 Gifico ApS has bought the fishingvessel Cattleya from Esbjerg, buildt at Karstensens shipyard in Skagen 2006. The vessels new name will be Ceton S205 and will replace Nimber S202. 2011-09 Now finally the Swedish mackerel fishing is MSC certified. Here with, we can deliver the MSC-labeled mackerel on the market! 2011-08 Nimber S202 is for the moment in Gdnyia, Poland, and is extended by 7.70 meters. The ship received a new work areas and new back and a facelift. See more in pictures or press here. 2011-08 Simone Christina E595 from Esbjerg has been submitted to Fornaes in Grenaa for dismantling. 2011-04 Nimber is sold to Gifico ApS in Skagen. The ship is registered in Denmark named Nimber S202 and thus carries the Danish fishing quotas. 2011-01 Gifico ApS bought fishingvessel Simone Christina E595 from Esbjerg associated with quotas. The vessel is engaged in danish industrial fisheries. 2010-08 Purchase of fishing vessel Veronica Of Fiskebäck GG352, as Polaris HG 352 from Hirtshals. The vessel will be fishing in the Baltic Sea. 2010-08 We have in this month dragged down two vessels for scrapping, to Fornaes APS in Grenaa. The vessels was used for quotas and has been in Fiskebäck for some years. 2010-03-18 Our website is now completed and we've posted new pictures that you can look at! Hope you find something interesting! If there is something so only hear from you! contact the webmaster for the "contact"